Best Way to Start the Day – Steak and Eggs! The metabolism of fat – how we use it and store it – is truly fascinating. 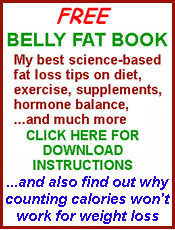 One of the mythologies of modern dietary recommendations is that eating fat will make you fat. This could not be further from the truth. Indeed, I have pointed this out recently to readers of my HCG weight loss diet blog. In thi post I explain what I like to have for breakfast, as shown in the photo to the right. Eating After HCG – My Favorite Breakfast. The reason that I bring this up here is that this is the kind of food that, if you had been eating it right along, would have prevented you from getting any extra belly fat in the first place. Weight loss and fat loss would be a thing of the past, because weight gain and fat gain would be nonexistent. The obesity epidemic certainly wouldn’t have happened. See what I mean when you read what I wrote there.